I’m so excited to report that, thanks to a special program through the Nashville Mayor’s office, JD and I were able to get a full home energy audit for free. That’s right… something that I thought we would have to budget for was basically handed to us at a discounted rate of $0… and I could not be more thrilled. That’s one more thing off my Thirty before 30 list! I digress… back to the audit. Get your energy on. Mayor Dean announced a new program called NEW (Nashville Energy Works) yesterday, which will provide free energy evaluations to the first 600 Metro Nashville residents who sign up. 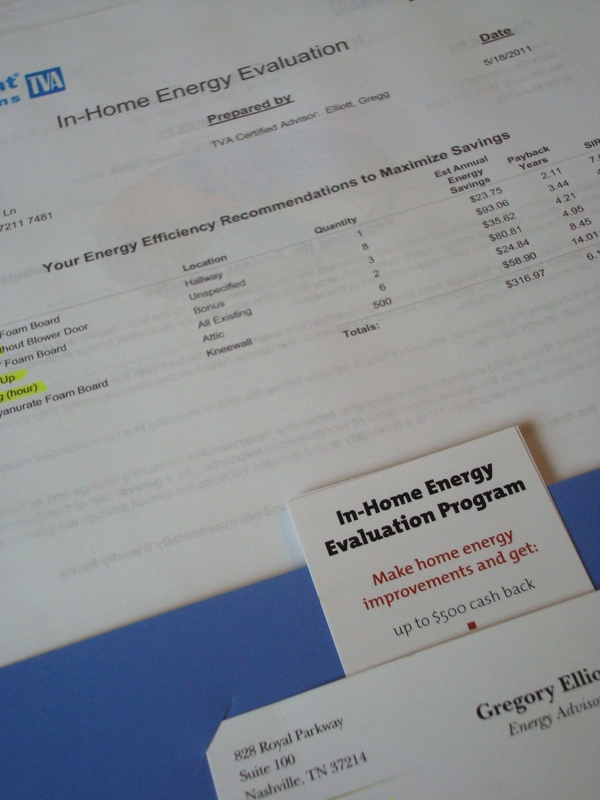 You know, the same energy evaluation that TVA charges $150 for? To get your name on the list, visit www.NashvilleEnergyWorks.org or call (866) 441-1430. The best part of this Nashville Energy Works program is that if we make 15% of Gregg’s recommendations, we get half of the money back that we used to make the improvements (up to $1500). How cool is that? 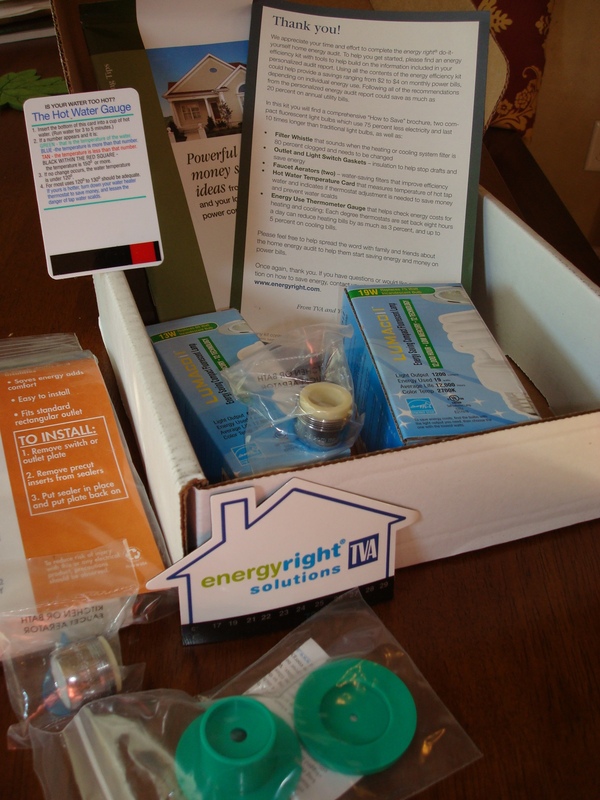 Arriving in the mail a couple of weeks after the inspection was a fun “kit” of items, including compact fluorescent bulbs, water filters, and temperature magnets. Pretty cool. Overall, I really appreciated the experience and all that was offered through the mayor’s program. Oh, and don’t you know it: I wrote Mayor Dean a thank you note!